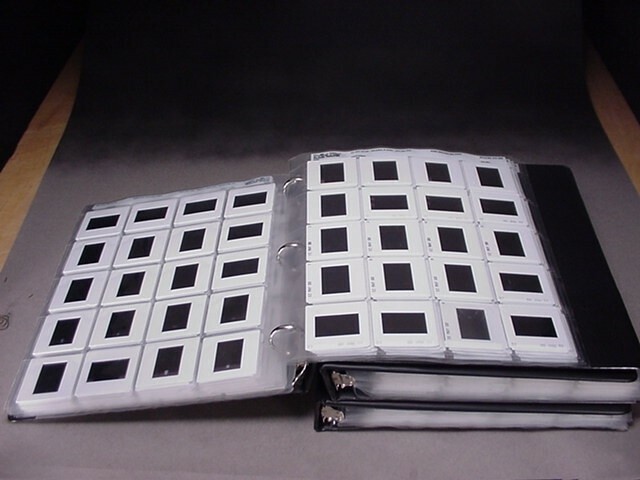 Photo sleeves and binders are a good way to organize your slides. I keep all of my best originals in one binder, the second choice originals and duplicates are also kept in separate binders. You can also further preserve your originals by putting them in glass mounts and having them achieved. Ask your slide processors for more on that.